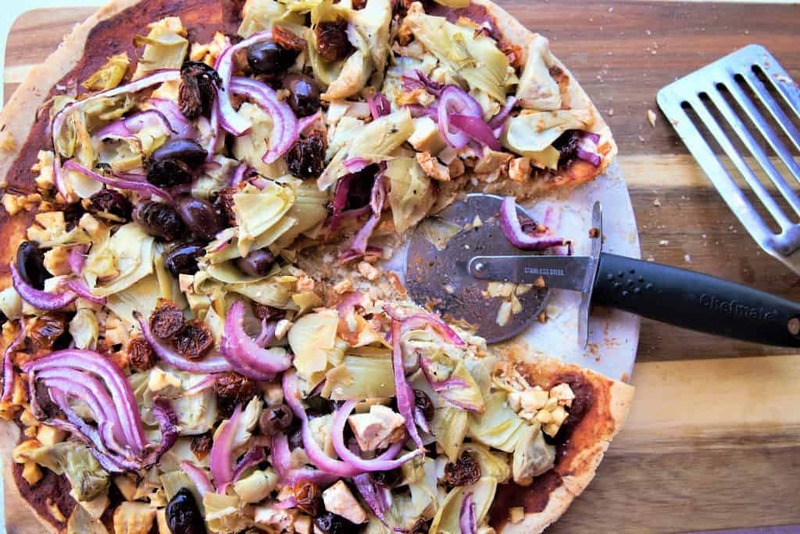 Roasted Vegetable Pizza-homemade gluten free crust + roasted veggies. Roasted Vegetable Pizza. The combination of pizza and vegetables is the best match up. 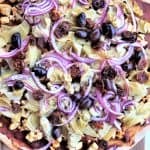 Pizza can be full of fat, preservatives and chemicals, but with a gluten free homemade crust and fresh vegetables, it is a healthy twist on the old favorite. Roasting makes everything taste better, and of course, clean up is much easier. 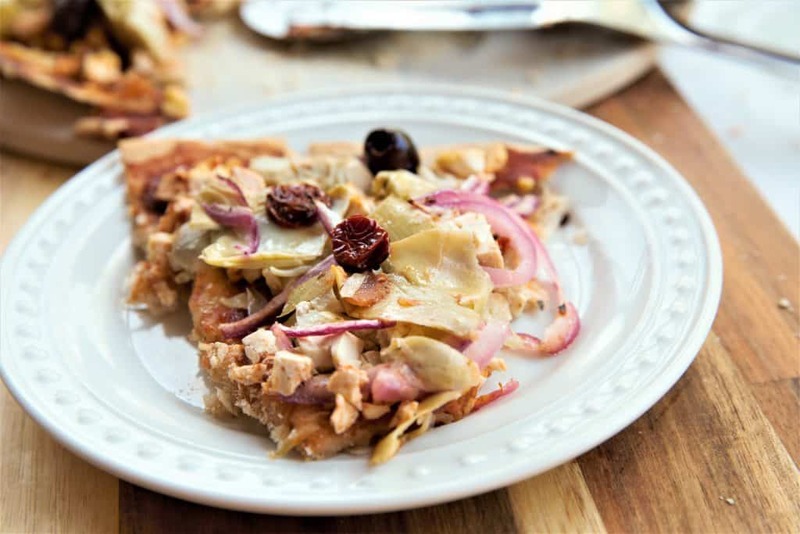 One of the best things about vegetable pizza, is that it can be made with a myriad of vegetables. 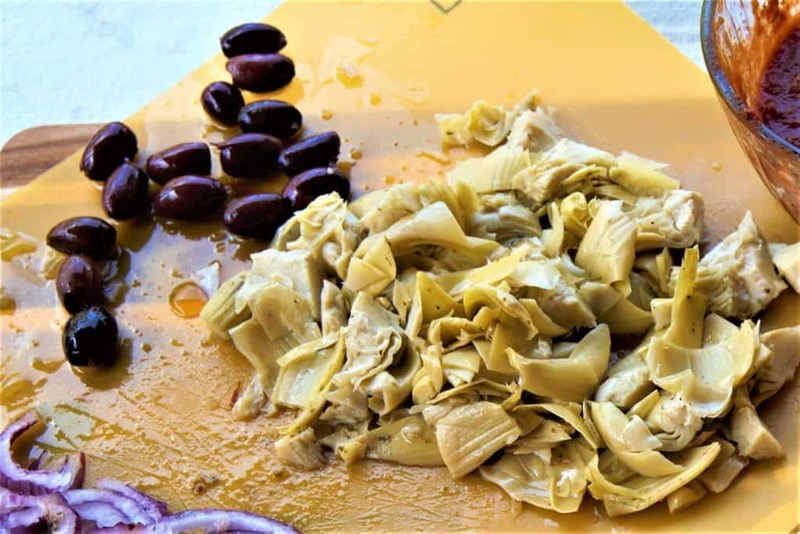 If you don’t have all of the ingredients listed, you can always mix it up to use any vegetables that you have on hand. 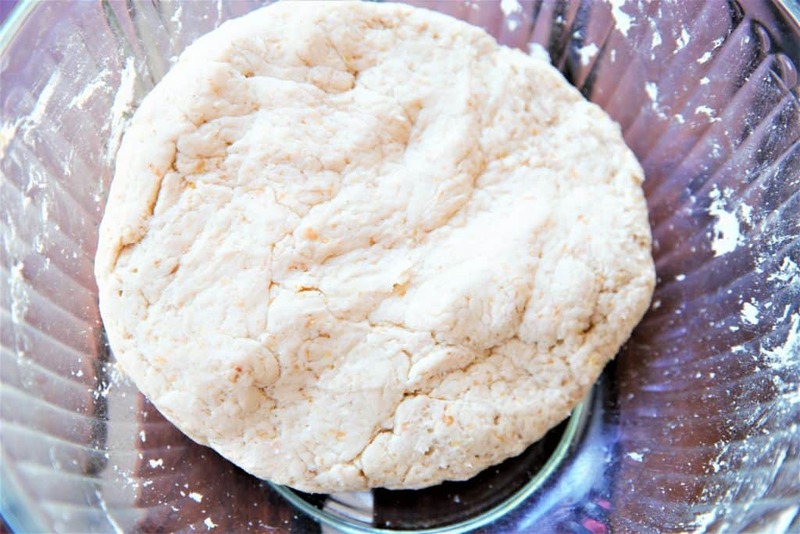 If you are short on time, you can use a pre-cooked pizza crust, but I love this gluten free crust. Try it, you will love it and of course, feel free to experiment. Vegan, gluten free, dairy free. Mix all dry ingredients to large bowl and mix well. Add oil. Add water/yeast mix to dry mix. Using mixer, mix for approximately 5 minutes until all ingredients are absorbed. Cover dough and let sit for 30 minutes. 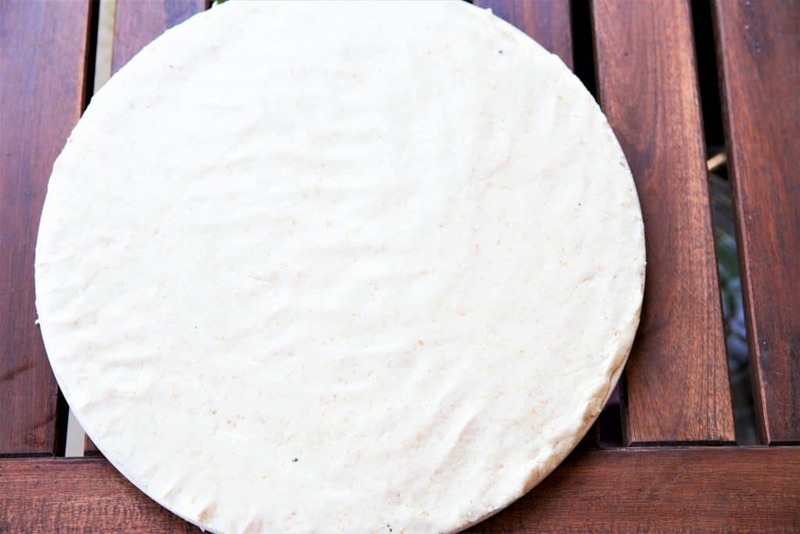 After dough has risen, press dough evenly to edge of pizza pan lined with silicon or parchment paper. This pizza will stick to the pan without silicon or parchment. If dough is too sticky, use olive oil on your hands. After removing crust from oven, spread pizza sauce on crust. 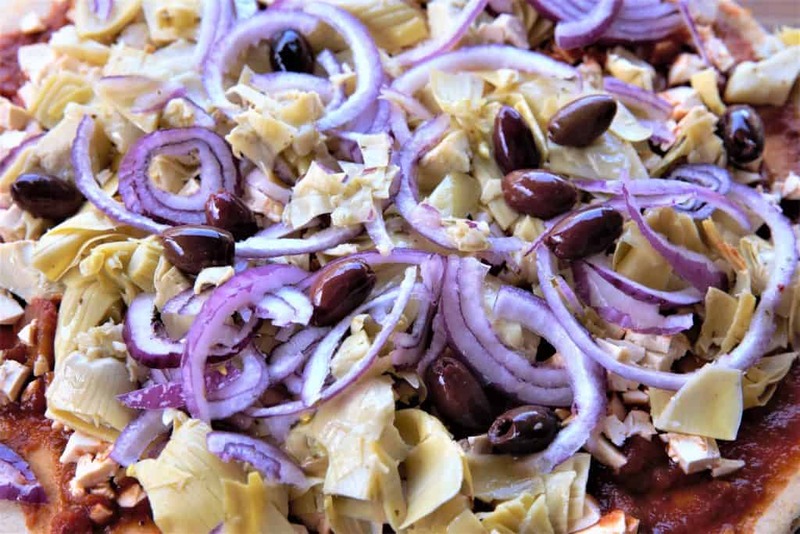 Add sliced onion, artichokes, olives, sun dried tomatoes (and tofu if adding) and arrange evenly on crust. Return to oven and bake for an additional 20 minutes.